Allegra Boverman/Gloucester Daily Times. Clockwise from left: Alyssa Strople, 8. 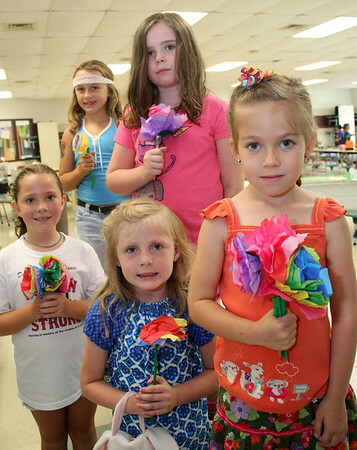 Amelia Lucas, 8, Morgan Reilly, 8, Teagan Hall, 6, and Lilah Mueller, 6, with tissue paper flower bouquets they made at the Summer Fun day camp program held at Rockport Elementary School and sponsored by Rockport Recreation.